Bentley Motors has firmly reinforced its position as the leading manufacturer of luxury vehicles in the world after announcing a 19 percent increase in global deliveries in 2013. 10,120 cars were delivered, the highest figure in Bentley's 95-year history, against 8,510 in 2012. New models were critical to this success. 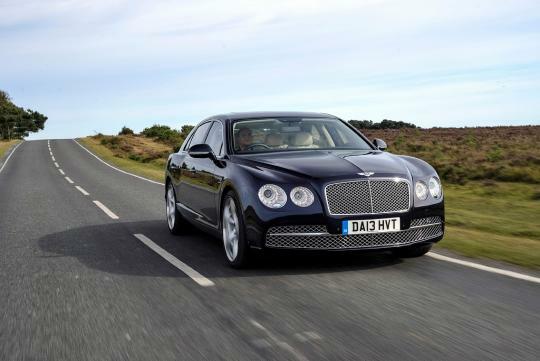 In 2013 Bentley launched the new Flying Spur, the fastest and most powerful Bentley four-door model ever. In the final four months of 2013, with full availability of the new model, Bentley delivered 2,005 Flying Spurs to customers - a phenomenal reception, considering the average yearly sales of 2,700 cars of its predecessor, the Continental Flying Spur, during its seven-year tenure. Deliveries also commenced for Bentley's open-top performance flagship, the Continental GT Speed Convertible. According to the latest figures, Bentley's full year market share performance in the luxury segment rose by three percentage points, taking it to 25 percent, a market leading position in a segment that decreased by six percent. Bentley's number one market throughout 2013 was the Americas region, finishing the year delivering 28 percent (3,140 cars) more cars than 2012 (2,457 cars), and 31 percent of the total deliveries. China remained the second biggest market, with 2,191 cars delivered in total over the year, against the previous year (2,253 cars). Deliveries in Europe were up by 11 percent, with 1,480 cars delivered to customers. Bentley's home market, the U.K., also saw impressive gains, delivering 1,381 cars, a 25 percent increase over 2012 (1,104 cars). 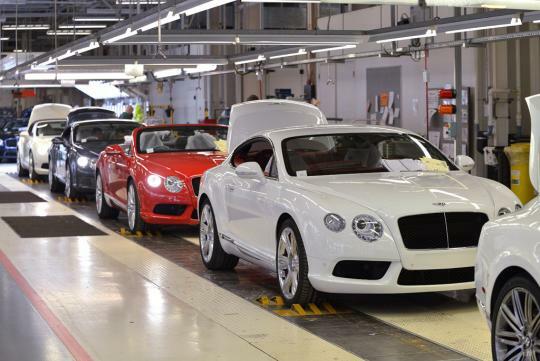 Overall, this means that 86 percent of Bentley’s cars were shipped abroad. Bentley's growing presence in the Middle East and Asia Pacific resulted in deliveries hitting a record high in both markets. Performance was strengthened in the Middle East by Bentley's flagship model, the Mulsanne, with model sales up by 38 percent, and total deliveries increasing by 45 percent (1,185 cars) on 2012 (815 cars). In Asia Pacific, deliveries rose by 26 percent (452 cars) on the previous year (358 cars), driven by success of the two-door Continental GT model line. Finally, Japan saw growth of 53 percent, delivering 291 cars against a total of 190 cars in 2012. The global sales network also increased by 11 percent, to 193 showrooms. There were 125 new Bentleys on SG roads for 2013.